How's this for 'something different'? . . . Looking for that elusive 'something different' for your big day? How about using one of your careers as the inspiration for your wedding venue? That's exactly what Abi and Adam Nadoski did when they tied the knot, and they were as happy as a bride and groom in a cattle market on the day! The couple decided to fully embrace their farming life together, arriving by tractor to their local cattle market where they exchanged vows in front of friends and family in Leicestershire, England. "(The market) is part of our everyday life together and it is important to both of us. We go once a week and really enjoy it," bride Abi, 23, told the Daily Mail. "I thought it was the best place for us to get married. We don't go out very often but this is somewhere we can go together and it is something that interests both of us." "It means quite a lot to us both. We always spoke about getting married there. We have been interested in it for a long time." 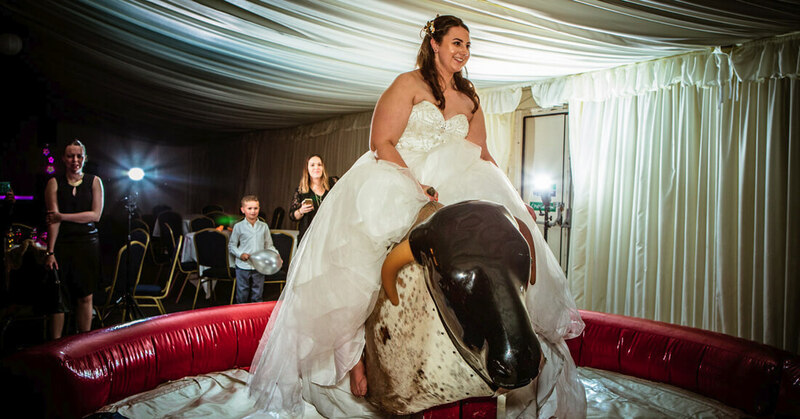 After they exchange vows, Abi and Adam, who who works as a cattle drover at the market, indulged in a fry up for their wedding dinner, before trying their hand at the bucking bronco they hired for guests' entertainment. 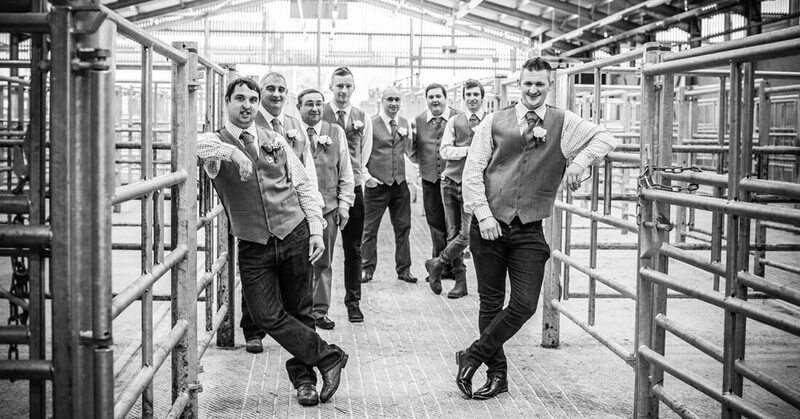 The bride, whose dad was a dairy farmer and granddad had his own beef cattle said she has always been around the farming environment, so it seemed 'natural' to chose the farm as a wedding venue. "Most of the people said it's the best wedding they'd ever been to," said the bride.